In 1999 a painting was selected for the prestigious Leigh Yawkey Woodson Art Museum, "Birds in Art" exhibition in the USA. The painting was further selected from the show to go on tour. 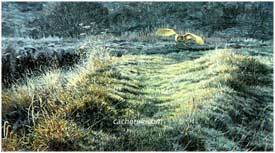 Works are exhibited annually at The Society of Wildlife Artists of which he has just been elected an associate member. 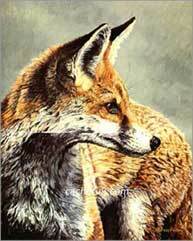 Summer 2001 was his fifth "Artist in Residency" at The Society of Wildlife Art of The Nations at Nature in Art, Gloucestershire. April 2000 saw his second successful exhibition at The Wildfowl and Wetlands Trust, Slimbridge, this time in the new Millennium building. 's work appeared on regional television and he has diversified into giving talks about his work. 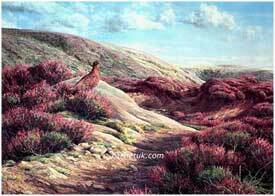 In the UK work has featured in The Artist, BBC Wildlife, Leisure Painter, The Field and Heritage magazines. 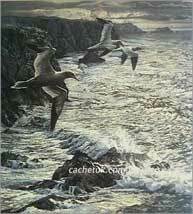 In the USA his paintings have illustrated the Wildlife Art magazine and a book entitled "The Best of Wildlife Art". Works of art have been utilized as covers for the following publications; 1999 autumn issue of the Wildfowl and Wetlands Trust magazine, the WeBs Wetland Bird Survey 1994-95 and 1997-98. Published images for 2002 include; a twelve-piece calendar, which is being sold in aid of The Royal Society for the Protection of Birds and the cover image for "The Birdwatchers Yearbook and Diary". was awarded Best Painting in Show, Best Oil Painting and Best Newcomer. In 1997 he was a finalist in the Laing sponsored seascape and landscape painting competition and in the following year two works were finalists in the touring Nature in Art exhibition.